Here's the survival kit that will help you combat air pollution. Winter in Delhi is perhaps the best time to enjoy the city and all it has to offer. However, for the past couple of years, everyone's favourite season has also become the one that is the most polluted. 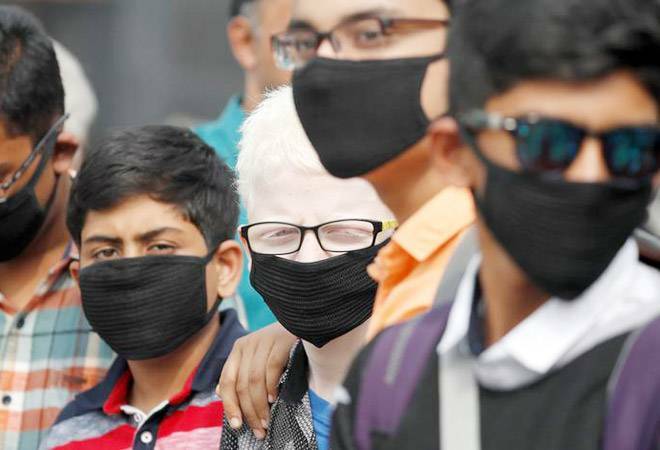 With the air quality rapidly deteriorating and AQIs reaching as much as 999, the pollution levels in the city are posing serious health risks to its citizens, especially children and older people. The situation has worsened so much that the Chief Minister called the city a 'gas chamber' and the government asked schools to shut for a couple of days. Although measures are undertaken by the state government to curb pollution, it could just be too late in the day. However, there are a few steps like staying inside as much as possible, using a mask while stepping out, using an air purifier at home, cutting down on early morning outdoor activities like jogging and walking, keeping plants that can cleanse the air at home that everyone can follow themselves. Anti-pollution masks: These masks will help in protecting you from pollutants like respiratory suspended particulate matter or PM2.5, sulphur dioxide and nitrogen dioxide. A respirator mask with either an N99, N95 or P100 rating or certification from the US National Institute for Occupational Safety and Health (NIOSH) can be really helpful in preventing you from inhaling these pollutants. The NIOSH N95 certification implies that the mask can filter 95 per cent of particles greater than 0.3 microns, which is even smaller than PM2.5. Similarly, N99 respirators filter almost 99 per cent of these particles. You could opt for a Vogmask or Atlanta Healthcare's Cambridge Masks; both are slightly steeply priced but are very effective. Honeywell: KN-95 rated masks that can filter PMs, air-borne bacteria and viruses are also very good options. Laser Egg: This device is very helpful in determining the kind of air you are breathing at any given point so that you can take the necessary measures. The Laser Egg measures AQI, PM2.5 concentration and particle count. It will monitor the air at home or office and set off an alert when the air quality exceeds a certain level. Air purifiers: Air inside home can be sometimes be more polluted than the air outside, as houses can be source of air contaminants. Air purifiers help in improving the air quality inside by removing smaller allergens like dust, smoke, chemicals, asbestos, pollen and pet dander. The longer the air purifiers work, the cleaner the air gets. Humidifiers: This device adds the right amount of moisture to the air, which can reduce allergy symptoms. The filters in humidifiers trap the dust and other particles, making the air clean and fresh.